Home > Sleep Disorders > What Is Seasonal Affective Disorder? What is seasonal affective disorder? That's a good question and one that doctors and therapists hear on a regular basis. Seasonal affective disorder (SAD) can carry many of the same symptoms as depression and, in fact, it is considered a form of depression, but it has its own unique characteristics that set it apart from clinical depression. Technically speaking, the seasonal affective disorder definition is a type of depression that is directly related to the change of seasons. More often than not, symptoms of SAD will begin to occur in late fall and continue through winter. Though this is the most common type of SAD, there are some individuals who experience symptoms in spring and summer instead. Not to be confused with what is commonly referred to as "the winter blues," SAD is a much more serious condition that can lead to serious complications if not diagnosed and treated properly. All of which leads to the question what is seasonal affective disorder and how do I know if I have SAD or something else? It's perfectly normal to have a down day now and then, but if those feelings of apathy continue on for a number of days, you may be looking at a genuine case of SAD. When considering seasonal affective disorder, you have to take into account the possible symptoms, which can include irritability, lack of energy, loss of interest in what were once favorite activities, appetite changes and insomnia. Symptoms can vary depending on the time of year that your SAD occurs. In cases of fall/winter SAD, you'll be more likely to experience an inability to tolerate other people, oversleeping, craving foods that are high in carbs and gaining weight. Conversely, SAD that occurs in spring/summer can include agitation or anxiety, a lack of appetite, severe insomnia and depression. In individuals with bipolar disorder, the seasons can cause rapid onset or exacerbation of symptoms. As you can see, answering the question what is seasonal affective disorder can be somewhat complicated but it is critical to have a proper diagnosis if you are to get effective treatment. What Is Seasonal Affective Disorder Definition? 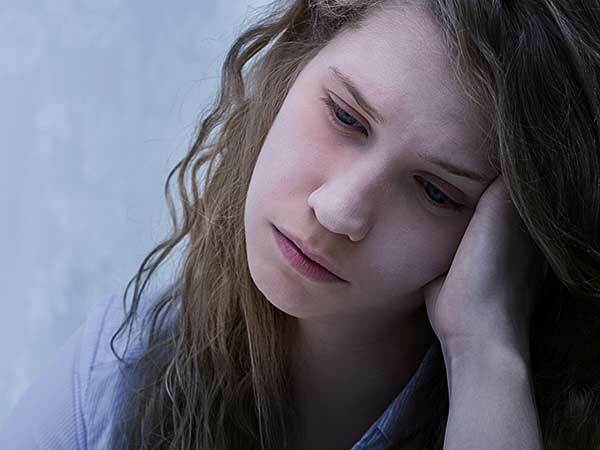 While the exact cause of SAD is not known, there are several factors that contribute to the seasonal affective disorder definition. These include a disruption to your circadian rhythm, the biological clock that regulates when your body shuts down and when it becomes active. As the amount of sunlight varies in the change of seasons, the circadian rhythm can become disrupted, which can lead to SAD symptoms. SAD has also been directly linked to both a drop in the body's natural level of serotonin as well as an imbalance of melatonin, both of which can affect sleep patterns and mood. Also, while anyone can develop SAD it is know that it affects women more than men. It is also more common among younger people and those with a family history of SAD as well as those already suffering from clinical depression or bipolar disorder and is more common among those who live far from the equator, where sunlight levels tend to vary more. Whatever the specific cause, what we do know is that SAD is very real and can be devastating to deal with. So if you find yourself asking what is seasonal affective disorder and why is it affecting my ability to sleep normally, then perhaps it's time that you sought professional treatment.